It’s officially December and the countdown to Christmas is underway!!! I say it every year, but honestly where have the months gone this year? I desperately need life to slow down but I’m also torn between wishing working weeks away so I can have fun at the weekend, it’s a catch 22 situation, anyone else feel the same? But here I am writing up my November beauty favourites, a post I have not done in a long time, but I’m seriously loving so many new beauty bits at the moment and as I find myself watching a lot more youtube videos recently, my makeup bag is slowly starting to overflow! 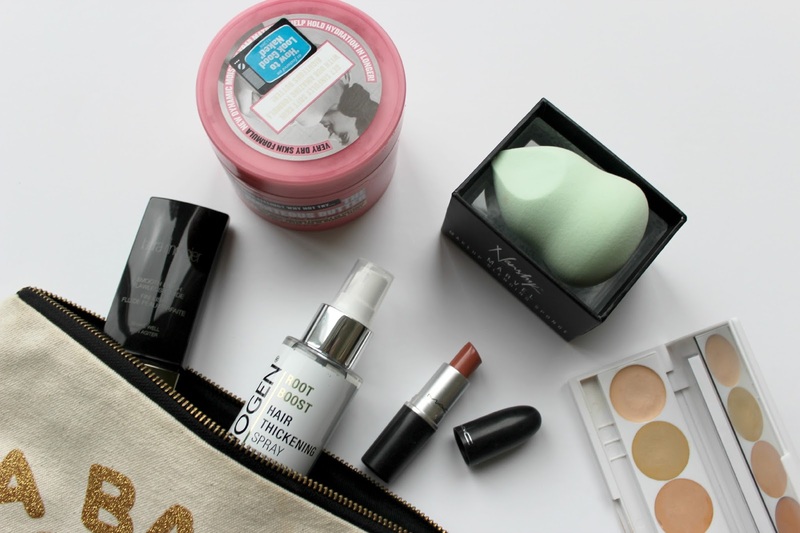 So this is what I have been loving on my face, hair and skin this month! I’ve mentioned a few times on my blog that I suffered from quite bad acne and although that seems to be behind me now *touches wood* it’s left me with slight scaring and uneven skin. For anyone who has had acne you’ll know how much it knocks your confidence and I still find my self being self conscious of my skin. Most of you will have probably watched My Pale Skin youtube channel at some point and I can’t honestly say I’ve watched someone as inspirational and brave as her before, the transformation she shows between being bare faced and with makeup is miraculous and it gives everyone hope who suffers from acne as her skin looks completely flawless (she looks great without makeup in my opinion too though!). This is where this fancy concealer palette comes in, from Kryolan it’s one she uses in all of her videos for covering up her imperfections. 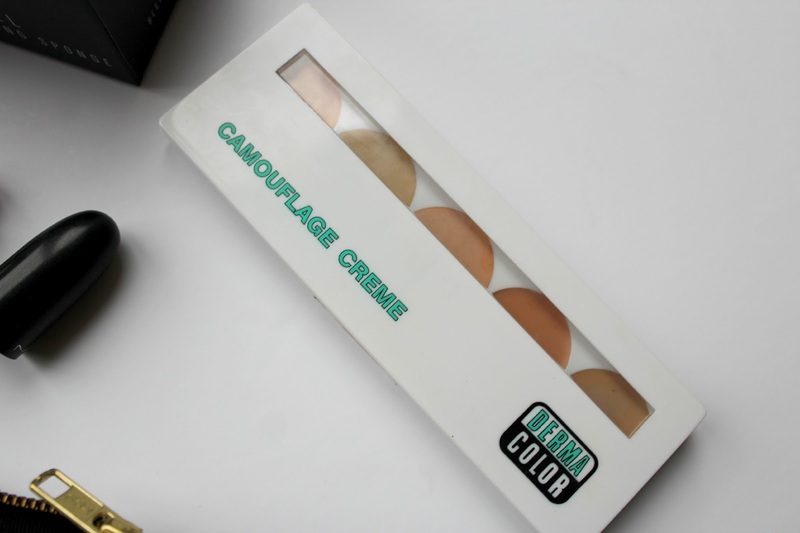 I would never have heard about this brand otherwise and it’s also widely used by makeup artists specifically for a high coverage look, all concealers can also be used as foundations. 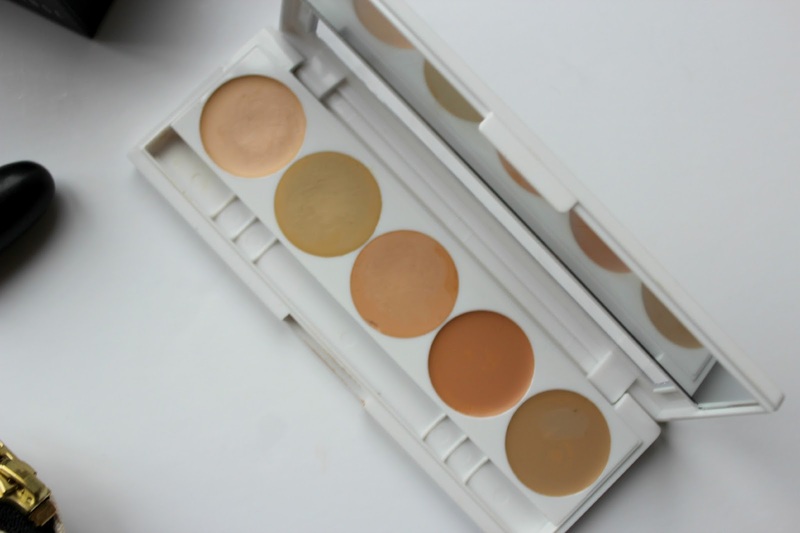 This handy palette contains 5 shades, with a slightly greeny shade which can be used to conceal all red areas. It also comes with a super handy concealer brush that I apply it with. I use this every day in my makeup routine now and it really helps me conceal those red and scarred areas with ease, for only £19 it is honestly such good value and you barely have to use any of it! I may have super long hair and lots of it but it’s also really fine and generally when your hair is long it becomes heavy and ends up looking flat. Because of this I find it incredibly difficult to achieve any volume to my hair. I keep having second thoughts about what to do with my hair length at the moment but I can’t decide whether I’m ready to lose the length just yet. So I’ve been looking for the perfect way to thicken my hair in the meantime and this fancy product helps me do just that! 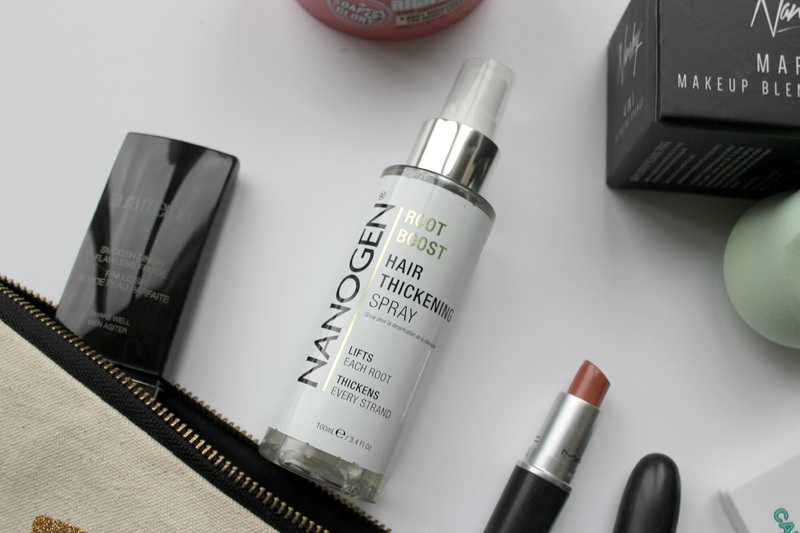 The Nanogen root boost hair thickening spray* from HQHair is a life saviour, I have tried many different brands over the years but none I have grown particularly fond off and I’m often put off by the smell. I just apply this spray to my roots and ends of my hair whilst it’s damp and then I let it work its magic. It has a faint fruity smell which is not overpowering at all and it definitely helps me achieve some volume in my roots which is great, I finish it off with some backcombing for a really voluminous look. 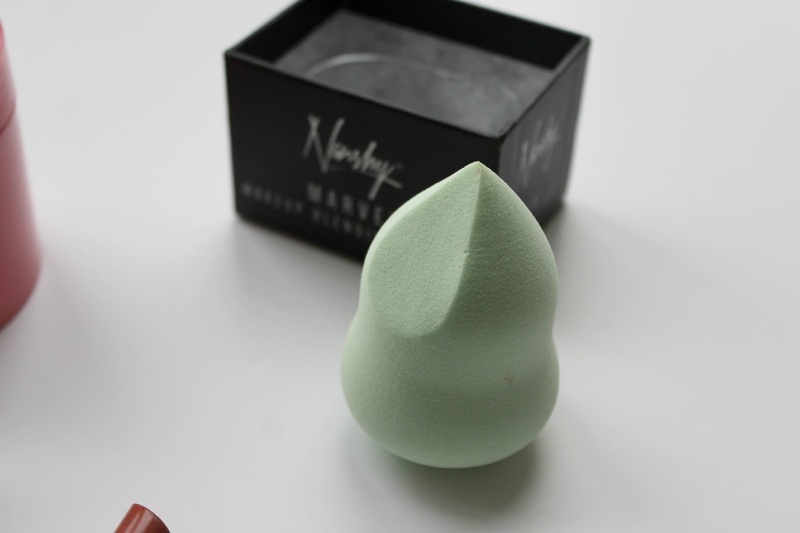 I received this Nanshy beauty blender in a goody bag from the Plymouth blog meet, fast forward to 6 months later and I’ve only just started using it. I think my lack of knowing how to use it is what put me off, I’m certainly very behind on these amazing beauty inventions. After watching numerous youtube videos I actually saw how it worked and have incorporated it into my makeup routine ever since. I would honestly recommend a beauty blender to anyone who doesn’t already use one, it helps makeup look flawless and is the perfect tool for contouring. The tip of the blender can be used to cover imperfections, whilst the flat side can be used for contouring, and you can also use it to blend large areas of the face, I’m definitely a beauty blender convert! Soap & Glory Righteous butter is my all time favourite body butter! I absolutely love the smell of it and have only just moved on from my pot that I got in the massive soap and glory set they do each year in Boots, which I nabbed for half price of course!! This butter is creamy and nourishing for skin in the winter, and it lasts all day! So this was more of an impulse on the spot thing which has been the best impulse buy ever made! I don’t have a Laura Mercier counter in Plymouth so when I popped to Exeter for the weekend I went in store to ask what would be good for my skin and to be colour matched. Funny as it sounds I’ve never found the perfect foundation that matches my skin colour completely as I have slightly yellowey/olive coloured skin and have always worn foundation that is too dark for me, I absolutely love the tanned look but would rather be doing that with a bronzer. 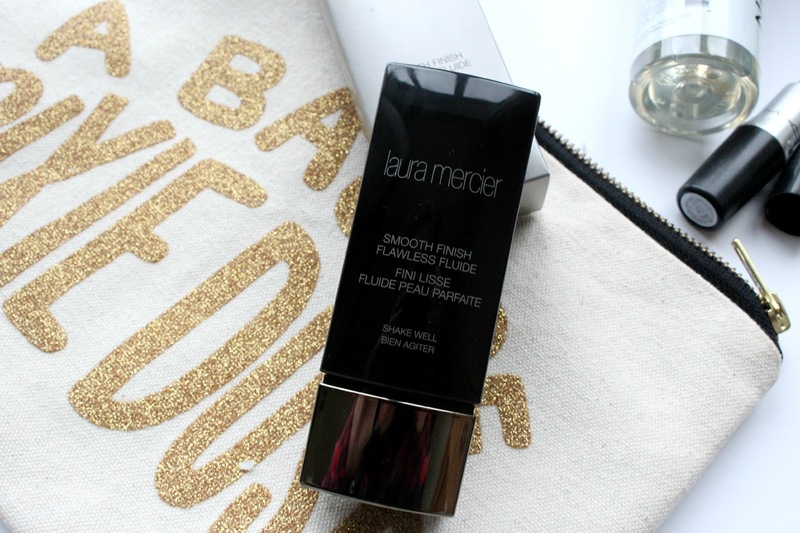 The Laura Mercier beauty staff were SO helpful and they gave me a little pot to try out beforehand so I could be sure it was the right colour for my skin. 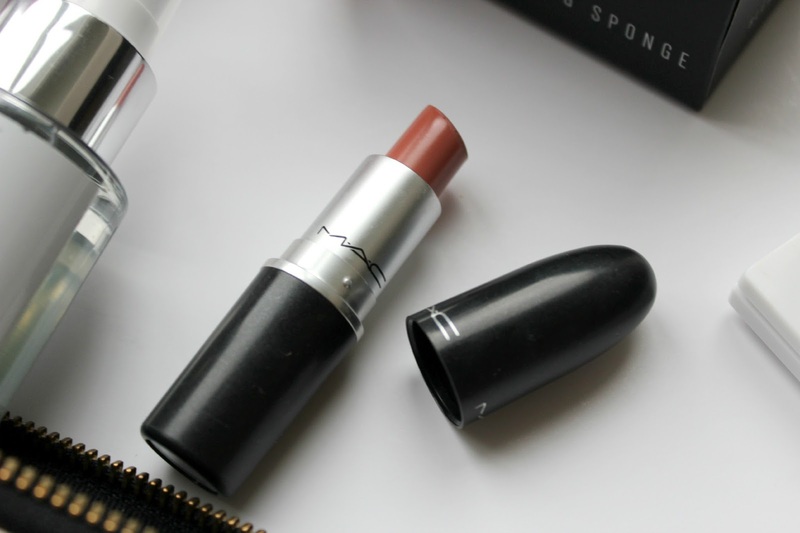 I got matched to the shade ‘Cashew’ and it’s honestly the most perfect match for my skin. This slides onto my skin so easily and feels like i’m barely wearing anything when it’s on. It give the most beautiful finish which seems to last all day on my skin which is unheard of with someone like me who has combination skin. It is certainly very pricey at £35 so I would recommend trying out a sample before buying the full size, but I don’t mind paying so much when its amazing, I think I’ve finally found my holy grail foundation! 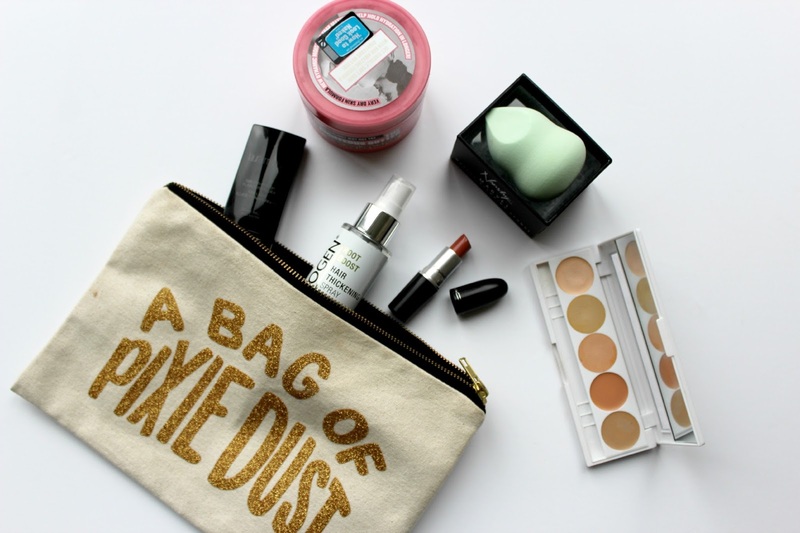 What do you think of my November beauty favourites? Are any of these your favorites or ones you would like to try? What have you been loving this month?